To celebrate the spiritual and cultural significance of Notre-Dame de Paris in the world, the French Embassy in the United States has organized a series of concerts in New York City and Washington DC (April 26), San Francisco (April 29), and New Orleans (May 5), offering the opportunity to come together around this drama and to reflect on the importance of world heritage and culture. In the spirit of French-American friendship, each concert will be held at an American cathedral and will feature a French organist, Daniel Brondel, Associate Director of Music and organist at Saint Patrick’s Cathedral, will perform in New York. All events are free and open to all (no reservation required), with a freewill offering to benefit the rebuilding and restoration of Notre-Dame de Paris. For those wishing to make a U.S. tax deductible contribution, kindly donate through our friends at the French Heritage Society’s Fire Restoration Fund here, a 501(c)3 non-for-profit. 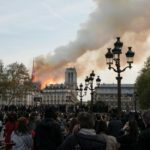 Donate to the official site of the Patrimoine de France’s dedicated fund to rebuild Notre Dame here. PAC Member Véronique Chabrolle (VeroDalla) will be happy to welcome you in her studio and introduce you to the large-scale versions of her LivenLuLu character as well as the latest pieces of the series “Etude”. No fee or registration required. 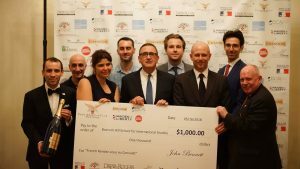 The Jérôme Lohez 9/11 Scholarship Foundation is the only charitable organization established after the 9/11 tragedy, by PAC member Dening Lohez, that is dedicated specifically to promoting educational and cultural exchange among the U.S., France and China. By providing scholarship awards to multinational students, enabling them to study in one another’s homelands, the Foundation aims to shape the next generation of global citizens, and promote shared values. Welcome to the Orsay, a former train station turned into a sumptuous museum. It is from here that Christos Markogiannakis invites you to embark on a very special journey—a journey through history and mythology, crossing paths with mass murderers, stalkers, cursed families, cannibals and serial killers. Murder is present on every floor, in every corner, exposing itself through numerous masterpieces as a gruesome form of art! 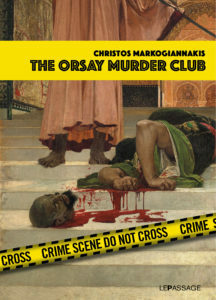 Applying the principles of criminology and art history, The Orsay Murder Club investigates and interprets a choice of some 30 works of art through a “criminartistic” lens. Created by prestigious artists such as Moreau, Cézanne, Carpeaux and Rodin, they all have a thing in common: they represent murder. 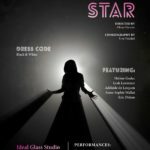 Each work will be treated as a crime scene and will lead to a fascinating investigation inspired by the principles of legal and forensic experts. Into what category does the murder fall? What are the factual and historical issues? Who are the victims? What portrait can be drawn of the perpetrator(s)? What is their profile, their background, their motive? Reaching our final destination—the truth—will depend on the often unexpected answers found to these questions. En appliquant les principes de la criminologie et de l’histoire de l’art pour une analyse ” criminartistique “, Scènes de crime à Orsay se propose d’étudier et d’interpréter une trentaine d’œuvres. Elles ont pour auteur des artistes aussi prestigieux que Moreau, Cézanne, Carpeaux ou encore Rodin, et elles ont toutes un point commun : elles représentent des meurtres. Chaque œuvre sera traitée comme une scène de crime et donnera lieu à une enquête fouillée s’inspirant des principes des équipes judiciaires et médicolégales. De quelle typologie le meurtre relève-t-il ? 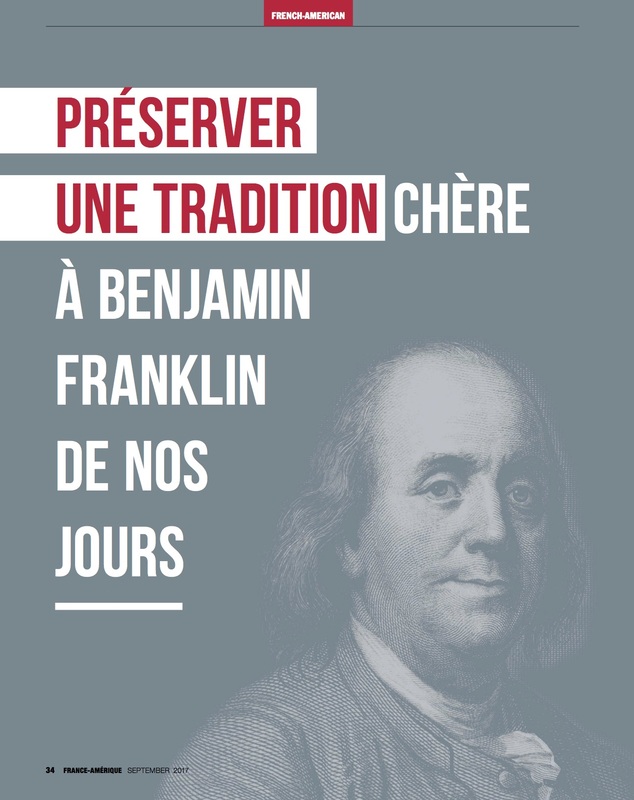 Quels en sont les enjeux factuels et historiques ? Qui sont les victimes ? Et surtout, quel portrait peut-on tracer des coupables ? Quel est leur profil, leur background, leur mobile ? Des réponses apportées à ces questions dépendra la possibilité de faire éclater la vérité au grand jour. 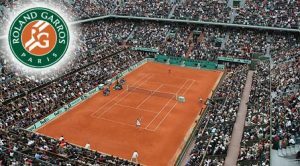 The Paris American Club is excited to host its second Roland Garros brunch at Monte’s Trattoria. 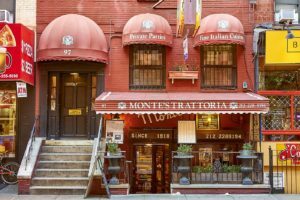 A French/Italian brunch will be served with Bloody Marys and rosé de Provence, while watching the Men’s Finals on the big screen at Monte’s upstairs dining room. Le brunch pour la finale de RG était top. Based in New York City, the Athena Music Foundation has presented dynamic performances of the highest artistic quality in New York and around the globe, from Dubai to Beijing. They have built a reputation for their high-caliber performers, and uniquely thrilling and engaging style of concerts. A soirée not to be missed! A French buffet with French wines will be served at 7 prior to the performance that begins at 8. Registration generally opens one or two months in advance of each event, once prior events have concluded. So mark your calendar and come back to register once open. Donate to the Paris American Club’s Educational Fund, to benefit the Boerum Hill School for International Studies, New York City’s first public high school featuring a French Dual Language 6-12 International Baccalaureate program, created in partnership with the French Embassy and French American Cultural Exchange (FACE) Foundation.